Looking for a great used car dealership near Bastrop? You’ll find everything you need with the extensive pre-owned inventory at Sames Bastrop Chrysler Dodge Jeep Ram. We thoroughly inspect every vehicle on our lot for quality so you know you’ll drive home a car that’ll last. Browse our inventory below, and contact us with any questions you may have! 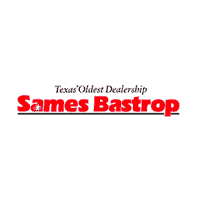 Turn to Sames Bastrop Chrysler Dodge Jeep Ram For Great Used Cars! Once you’ve found the perfect car to take home to Giddings, visit our Chrysler, Dodge, Jeep, Ram dealership in Cedar Creek to get started. You can even get pre-approved for financing before visiting us!